We discovered that an increase in fertilizer inputs is only one part of the problem. 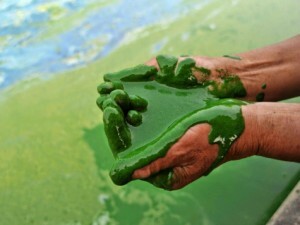 Three other distinct but interconnected factors also contribute to water pollution and the Gulf dead zone: the loss of perennial cover, the construction of artificial drainage systems, and the loss of wetlands. In our latest paper in the Journal of the American Water Resources Association, we examine these factors in detail and explain how this new knowledge can help develop solutions. In the past century, as Midwestern grasslands and prairies were converted to farmland and crop rotations were simplified to maximize yield and profit, the amount of perennial crop cover decreased significantly. Shifting from perennial to annual vegetation reduces evapotranspiration, which accelerates the delivery of nitrate into rivers. By reintroducing perennial plants such as alfalfa, we could improve soil and water quality across the Corn Belt. And perennials could grow alongside annuals such as corn and soybeans without affecting current yields. Cover crops also have a role to play in reducing the delivery of nitrate to rivers. Photo credit: © Robert Kyllo, Shutterstock Images. The hydrology of row crop landscapes has been further altered by the development of artificial drainage systems. While these systems are beneficial to crop production, they prevent any filtration of nitrogen-rich waters and instead hasten transport into streams. 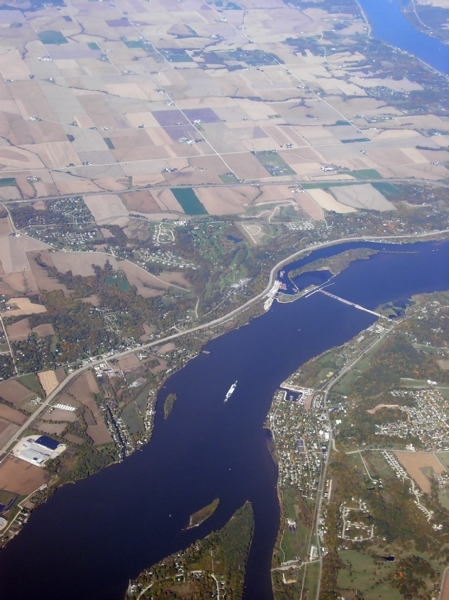 This is a key factor in the contentious Des Moines Water Works lawsuit – a situation that could become the norm unless we can reduce nutrient runoff. Improving runoff management and capturing or diverting the nitrogen-rich water would greatly limit its effects on people and animals living downstream. Wetlands are one effective way to filter nitrate-rich water and prevent runoff, but by 1984, over half of all U.S. wetlands were either drained or filled in for farmland or development. Restoring wetlands in strategic positions on just 1 to 3 percent of the region’s cropland will combat nitrogen runoff and help bring the Gulf of Mexico dead zone to a manageable size. We need a comprehensive approach to address high levels of nitrogen in the Corn Belt. Our study offers solutions that would not drastically alter current farming conditions or upset the economic system on which modern agriculture depends. For example, we need to tailor different conservation and mitigation efforts by region since each landscape has unique attributes and challenges. Specifically, we have a two-pronged approach: solutions must incorporate the restoration or enhancement of agricultural lands to better manage nitrogen; and we must identify key areas that would most benefit from proven or new nitrogen management practices. In other words, let’s focus resources where they’re most needed so that policymakers can make the most informed decisions about conservation planning, outreach, and funding. This entry was posted in ecosystems, fertilizer, Sustainable Agriculture, western water, Wildlife Protection and tagged agriculture, conservation, corn, cover crops, dead zone, farmers, farms, fertilizer, food, food production, Gulf of Mexico, nitrogen, nutrient efficiency, nutrient pollution, row crop, wetlands. Bookmark the permalink. Both comments and trackbacks are currently closed.